Most people think that electro-convulsive therapy is barbaric, brutal – and banned. But on an average day In Britain, 10 people undergo ECT. Despite its horrific past and the dramatic images of Jack Nicholson in One Flew Over The Cuckoo’s Nest having his brain fried, the current medical consensus is that ECT is still the best treatment for some forms of mental illness…and it’s on the rise. The Freaky investigates. Figures in the US are harder to come by but its estimated over 100,000 patients receive it every year and its known that the Mayo Clinic, one of the nation’s best neurological hospital regularly uses it. In the 1990s SSRI-type anti-depressants, like Prozac, promised a cure for all mental health issues. And a new generation of psychiatrists were increasingly unwilling to prescribe ECT. Like the general public, they were far more comfortable with pills or a cheap-and-cheerful version of the ‘talking cure’ – Counselling, our universal panacea for depression (itself known as ‘the 21st century disease’). BUT… , despite all this, current medical consensus is that ECT is still the best form of treatment for depression. “It is by far the most powerful treatment for depression,” says Andrew Molodynski, consultant psychiatrist at Oxford Health NHS foundation trust and national mental health lead of the British Medical Association’s consultant committee. Far from sharing the revulsion that many of us instinctively feel towards ECT – psychiatrists profess surprise at our deep unease. As far as they are concerned there is no controversy. Many say that they would even have ECT themselves if they were clinically depressed. Despite this, the average member of the public is positive that ECT is no longer legal. If you ask them whether they’d consent to it being carried out on a loved one, they recoil in horror. They’re pretty certain that – like lobotomy – it’s nothing but a shameful relic of a bygone age; an institutional means of controlling those who, though difficult, were essentially harmless; and that modern, humane treatments for serious mental illness made it redundant long ago. In short, they consider it to be a brutal and blunt instrument with which the brains of pre-war unfortunates were battered into submission. 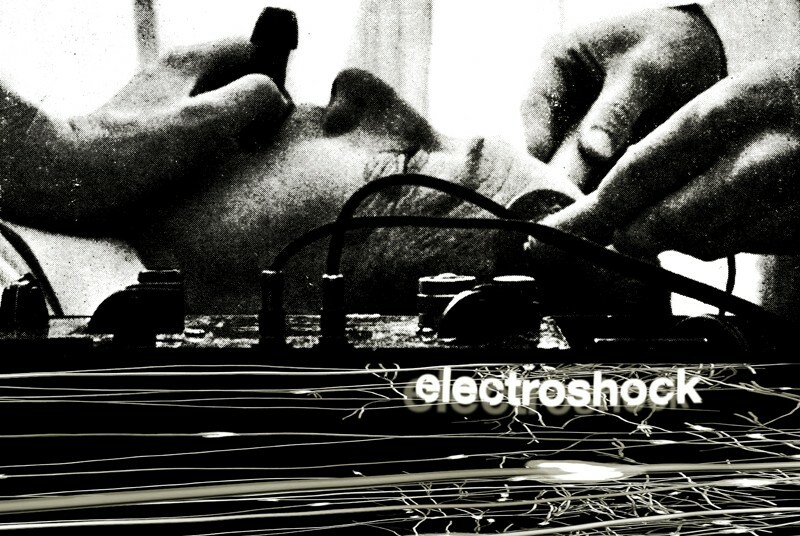 As a culture, we fear and loathe the idea of Electro-Convulsive Therapy. Our reference points are obvious. From Mary Shelley’s Frankenstein – which tapped into our existential fear of the very nature of electricity; to Snakebite, the 1949 film which showed in close-up the full horror of pre-muscle-relaxant electroshock; to One Flew Over The Cuckoo’s Nest, the Anti-Psychiatry Movement’s celluloid call-to-arms: the cultural markers for ECT aren’t good. And of course, we’re all in thrall to the post-enlightenment ‘given’ that the brain is the seat of Identity. In some indefinable way – the brain is the vessel of the Soul. Worse, when ‘electricity’ and ‘the brain’ are mentioned in the same sentence, we think of white-trash serial killers walking the green mile to the death chamber, in one of the more backward U.S. states. 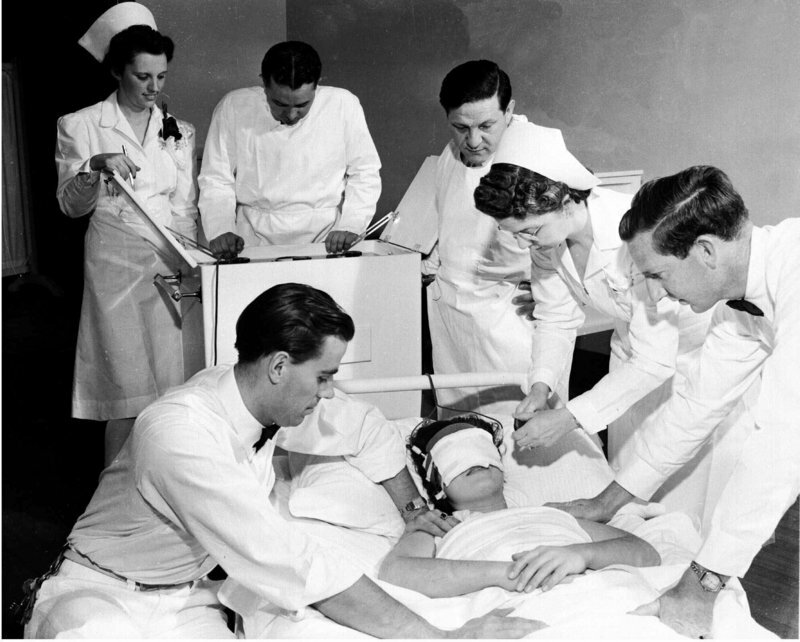 Of all psychiatric ‘interventions’, the history of ECT is the most gruesome. *It’s the treatment which has its genesis in a German psychiatrist’s observation that pigs in a slaughter-house became immediately compliant when stunned with an electric prod. *It’s the treatment which was enthusiastically adopted by a profession still accused of quackery and charlatanism, and which was anxious to cement its status as a branch of ‘real’ medicine. *It’s the treatment which is associated with the worst abuses of psychiatric patients of the mid-twentieth century. A magic wand which turned the refractory into the docile: easy to manage in numbers. Our deep disquiet at Electric Convulsive Therapy’s continued existence, while possibly ill-informed, is by no means unreasonable. Respondents to a MIND survey of 1999 reported the following disturbing and long-term side-effects: confusion; disorientation in time or space; inability to recognise people; loss of reasoning ability; loss of previous skills (reading, music, languages); and epileptic seizures. Should we conclude that serious damage is being inflicted upon the brains of those who are least able to protest, in both capacity and law? Upon those who, when they complain, are most likely to be written off as mad, or bad, or both? In 1999, 700 patients were treated while detained under mental health law. Of these 700, 59% were given ECT without their consent. Extrapolate those figures, and we have total of 1650 people who were given ECT against their will – in one year alone. There’s the fact that the demographic most likely to undergo ECT are female – specifically elderly women. The most vulnerable, the most compliant, the least likely to complain. There’s the continuing anecdotal evidence which suggests some patients are pressurized into the treatment – ill-informed of the side effects, even lied to. There’s the uncomfortable truth that terrified sectioned patients might reasonably be supposed to consent to pretty much anything, if it will get them back to their homes and families. And there is, of course, the matter of whether a patient in the depths of serious depression can consent at all: fuzzy with drugs which have failed to cure him, but possibly succeeded in causing confusion and an inability to reason, is he capable of taking in the information that he needs in order to give his informed consent? Nowadays ECT is much refined. Patients are given a general anesthetic and once unconscious they are given a muscle relaxant. A mouth guard is put between the patient’s teeth, then the clinician will apply one electrode to each temple. An electrical current is applied for up to eight seconds to trigger a seizure – which generally lasts between 20 and 40 seconds. “If you applied it across your hands you would get a range of sensation, but you wouldn’t get a huge electrical shock,” says Tim Oakley, chair of the ECT accreditation service (ECTAS) accreditation committee and a clinical director at the Northumberland, Tyne and Wear NHS foundation trust. The patients blood pressure, blood oxygen, heart rate and brain activity are monitored continuously. Because of the muscle relaxant they are given the muscles are nearly paralysed, so there is no longer the thrashing around of bodies, Occasionally limbs can move briskly, but it’s more likely that any movement will be subtle – like the a twitching of feet or toes curling up rhythmically. The whole ECT procedure is last less that half an hour and is repeated twice a week, typically for six to eight treatments. Medical professionals and cured patients swear by the procedure’s success in turning depressed, mentally disturbed patients into happy functioning people but how it works is still a mystery. It’s believed it’s the combination of the electricity applied and the seizure its provokes that rewires malfunctioning neural pathways in the brain. ECT is a life-saver for those of us suffering from ‘true depression’, they say. While we may not know exactly how it works, its effectiveness has been empirically proven. And after all, we’re not exactly sure how many modern pharmacological ‘miracles’ actually work. For seriously-ill patients, they argue, there is nothing as efficacious as ECT, which can effect a nigh-on miraculous, though short-term, recovery. Enough, at least, for other tried-and-tested therapies to begin. Public figures are amongst those who’re rumoured to have benefited. Carrie Fisher is one of the few high-profile ECT patients prepared to admit to using it , but there are doubtless others– particularly since the celebrity rehab clinic The Priory in the UK has a reputation as an enthusiastic administrator of the procedure. 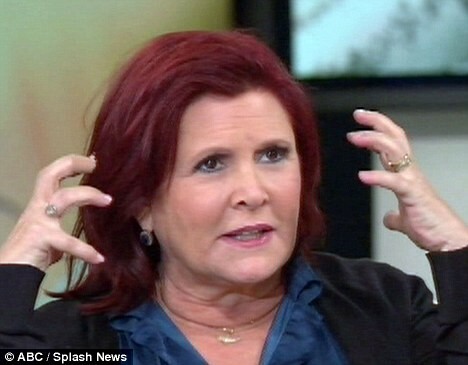 Actress Carrie Fisher claimed ECT cured her depression. These die-hards point to our growing – and uncomfortable – realization that SSRI’s aren’t the wonder-drug that we at first thought – as the relatives of the growing ranks of SSRI suicides can attest. They note that many anti-psychotic drugs also have pretty hideous side-effects – uncontrollable tremors, suicidal impulses. All in all, there are very few treatments for serious mental illness that don’t have a down-side – SSRI’s are only the most recent in a long list. They argue that, in any case, we are talking about a balancing act. Often, on one side of the scales is suicide, or effective suicide by starvation, because patients are so ill that they are refusing to eat. On the other side of the bar is the potential – potential, mind – for some memory loss, or loss of some cognitive function. Most pro-ECT psychiatrists dispute these side-effects, but say even were they utterly convinced of them, they would still prescribe ECT. Because their job is to save lives. And they argue that, with an ever-aging population – a demographic which doesn’t respond as readily to SSRI’s as other groups, and for whom traditional tri-cyclic anti-depressants are frequently contra-indicated – we face a future in which a swathe of the mentally-ill will be left high and dry. They accuse us of a thinly-disguised revulsion at mental illness itself, and of using ECT as a symbol of everything that we can’t bear to face about the reality of psychiatric medicine. They say we would be horrified by any of the treatments which must be forced on sectioned patients, would we only look. And that we rely on the moral courage of workaday psychiatrists, who deal without thanks with those with whom society cannot cope. For these doctors, ECT is no relic from the post-Victorian asylum. Indeed, they fear a return to the dark ages of psychiatry, where chunks of the seriously mentally-ill were left to rot in their own excrement: either because no treatments were available, or because treatable illnesses were caught too late. We cannot, we must not, allow more to suffer, when we have a proven, if unexplained, cure for their pain. Some go even further: Far from being the last resort, ECT should become a central plank in our mental-illness armoury. If we could only overcome our cultural squeamishness, they say, many who suffer could be helped – earlier and more effectively. 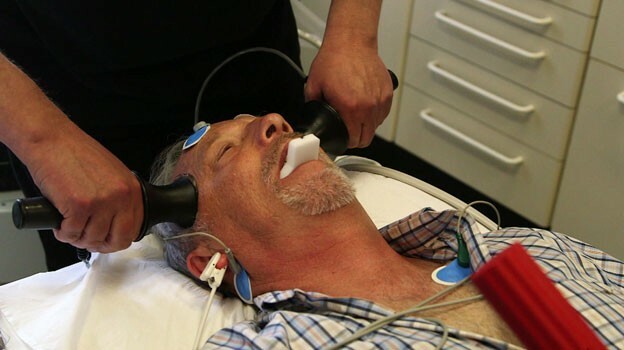 Despite all preconceptions – ECT offers redemption. That, while shocking – even horrifying – to watch, ECT is a vital tool in the psychiatrist’s armoury. Not a perfect cure, perhaps, but one which offers hope where none would otherwise exist. ECT is a life-saver. Or a life-destroyer. It’s a treatment whose side-effects are more debilitating than the illness it purports to treat. Or, to critics, it’s an immediately effective stop-gap whose side-effects are minor, when set against its enormous benefits. It’s a psychiatric vortex, a black hole into which voluntary patients are encouraged to jump, without being fully-informed of possible ill-effects. Or, it’s the only option for patients who are so ill that they couldn’t reliably remember their date of birth, let alone whether they’d been adequately informed or not. It’s a mediaeval and punitive abuse forced upon imprisoned psychiatric patients against their will – or it’s a short-term ameliorative which gives the deranged, the delusional, and the self-destructive an alternative to life-long restraint or sedation. Perhaps all these things are true. And perhaps it’s the fact that ECT refuses to give up one objective, incontrovertible Truth – to conform to our idea of what Science should be – that makes it so difficult for us to accept. Source: An original The Freaky investigation. There’s almost no actual data about how effective it is. It might work but the fact that they don’t know HOW it works scares me. I know two people who signed themselves in for suicide watch and requested EST, one of them had grave Aspergers and was on the autistic spectrum. It sorted him out and let him get a fresh perspective on his life.